American media personality, the former judge and also a Republican politician in NewYork Jeanine Pirro is currently working as the host of Fox News Channel's Justice with Judge Jeanine. Out of her long successful career, along with fame and success, Jeanine has also earned a huge fortune. So, what is her net worth? We have all the details about her career and personal life here!!! Former judge and prosecutor Jeanine Pirro has an estimated net worth of $5 million as reported by The Richest. However, as stated by Celebrity Net Worth, she has a net worth of $12 million with an annual salary of $3 million. She certainly lives a luxurious life and has several lavishing houses and cars. Jeanine, the current Fox Television star was recently selling her Harrison house consisting of five bedrooms and seven bathrooms; the house which was built in 1988. Pirro marked her custom-built Harrison home for $4.995 million in 2015. That was not the first time the star attempted to sell her house. In 2007, the European elegance and sophistication abound impressive home was listed for $4.265 million; less than $5.2 million she asked for in 2000. In addition, Pirro owns four contiguous and undeveloped residential parcels in Port Charlotte, FL at the southern part of Sarasota, with a gated golf course community in West Palm Beach covering an area of 3,274 foot. Also, Jeanine Pirro and her former husband Albert Pirro bought the house in 1995 for $315,000. They attempted to sell the house in 2007 with an asking price of $795,000 but failed it. According to some sources, she also has a Ferrari and two Mercedes-Benz vehicles. The New York Daily News stated that Pirro was handed a speeding ticket for driving 119 mph in a 65 mph zone in November 2017. Later on, Pirro stated that she was racing to see her sick mother in Elmira. The police source addressed that she's driving a Cadillac. A civil rights activist sued Fox News host Jeanine early this December. 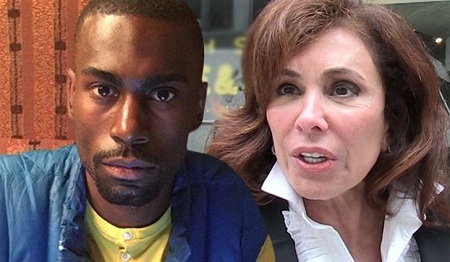 He claimed that Pirro defamed him while discussing a lawsuit against the Black Lives Matter movement. The lawsuit states that DeRay McKesson was falsely arrested during a protest session in Baton Rouge, LA, in 2016. A police officer was hit by a rock and was seriously injured. The officer sued DeRay and Black Lives Matter movement. Though the lawsuit of the officer has been dismissed at present, Pirro "made a series of outrageously false and defamatory statements about Mr. McKesson, including that he directed someone to hit the police officer in the face with a rock" as stated by McKesson. Her statements on the Fox News show Fox & Friends was extremely devastating for McKesson, the lawsuit stated. "We informed Mr. McKesson’s counsel that our commentary was fully protected under the First Amendment and the privilege for reports of judicial proceedings. We will defend this case vigorously." The lawsuit which also affected Fox News Network was filed in New York on Tuesday, 12th December 2017. 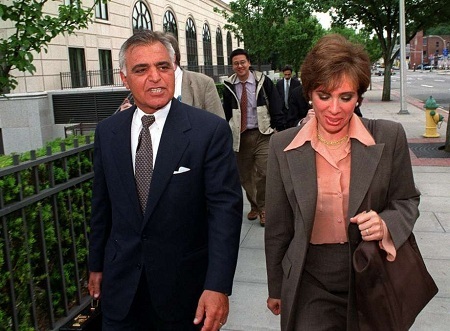 Jeanine tied the knot to Albert Pirro, a lobbyist and Republican donor in 1975. Nobody on earth might have ever imagined that the couple would separate after 32 years togetherness as husband and wife. The former couple met when both were in law school. They are blessed with two children a daughter, Christi Pirro and a son Alexander Pirro. Jeanine struggled a lot in the troublesome married life until she called quits in November 2007. The couple faced many ups-downs in their relationship. Meanwhile, her husband's imprisonment also played a key role in their divorce. He was charged by the office of United States Attorney for the Southern District of New York Mary Jo White on four counts of tax evasion, and 28 counts of tax evasion in June 2003. Albert was also rumored of having an extra-affair with Lisa Santangelo in 2006, but the news was never confirmed. She was born on 2 June 1951 in Elmira, New York to the family of Nasser "Leo" and Esther Ferris. Completed graduation from Notre Dame High School. Joined the Chemung County District Attorney's office as an intern. Graduated with a Bachelors of Arts from the University at Buffalo. Achieved J.D. degree at Albany Law School of Union University in 1975. Currently working as the host of Fox News Channel's Justice with Judge Jeanine. Was the first female judge elected in the Westchester County Court as the first ever female District Attorney of Westchester County? Also sought the Republican nomination for United States Senate against Hillary Rodham Clinton in 2006. People magazine named her one of the '50 Most Beautiful People' in 1997. She achieved Daytime Emmy nomination in 2010 for Outstanding Legal/ Courtroom Program and won the same award in 2011.